Afternoon tea party in a warm and cozy doll house -- I have long wanted to experience something like this and be transported to Alice's wonderland. However, I have never thought that there exists a nice and comfortable dinning spot as such in the Metro. 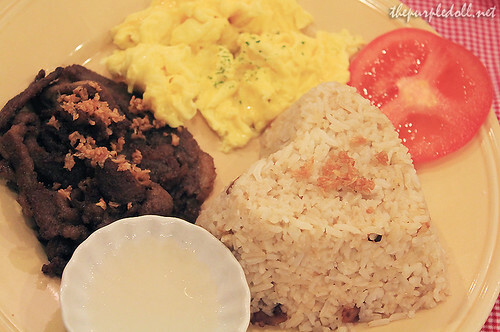 I was proven wrong though as Stacy's in Capitol Greenstreet is probably the closest one I have come across which I owe to OpenRice's Eat's a Date event. 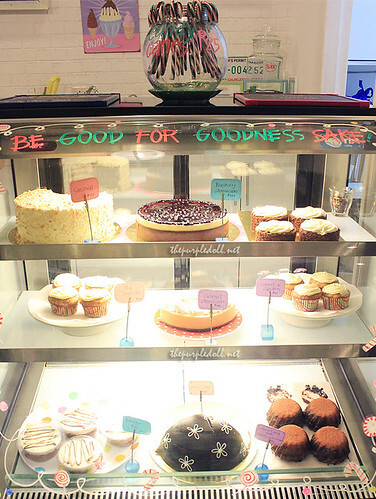 As sir Anton of Our Awesome Planet puts it, Stacy's somehow seems to be a full-blown restaurant version of the well-known cute, girly and pastel-filled store that is Cupcakes by Sonja. 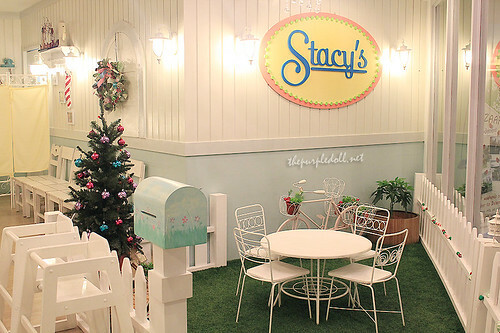 Even without crossing its doors, one will definitely notice the very homey ambiance that Stacy's exudes. Inside the seemingly humble storefront, the restaurant's classic-looking oval plated logo with miniature garden table setup will welcome any of its visitors. This is what you get when you combine Ms. Aby Natividad-Nachura (head chef of Del Monte Test Kitchen) and Ms. Angelique Abesamis-Castro (prop stylist for Working Mom) and let them venture into food business. 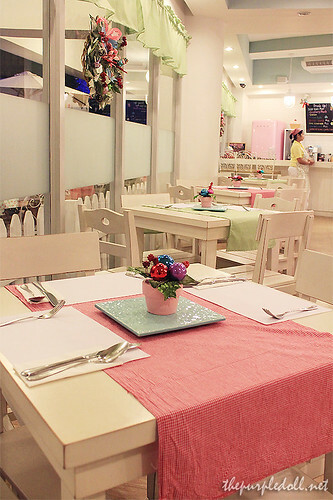 The whole interior of the restaurant shouts girly and cozy with homey decorations and personal pieces which added a lovely and doll house-like feel to the whole restaurant. The counter has handwritten beverage offerings scribed on a chalkboard hanging above a pink fridge. 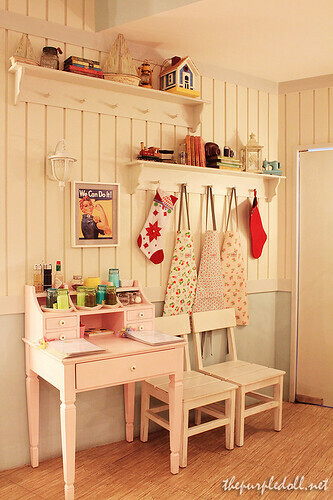 The condiments area is a pastel pink study table standing by a wall full of interesting eye candies -- models of house, yacht, train, sewing machine, Cath Kidston aprons and whatnots. The dining area was also reminiscent of the tables and chairs from my kindergarten days. Everything inside Stacy's is just oozing with warmth and charm, even the chandelier was lovely enough and does not feel out of place. 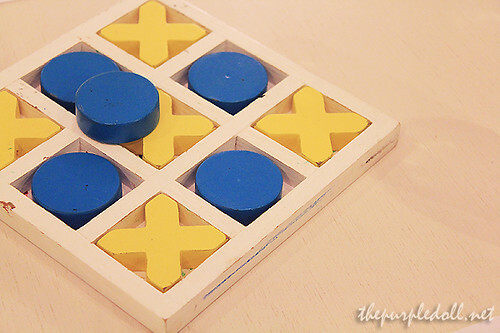 The table tops were also decorated with pots of Christmas balls and a cute wooden set of Tic-Tac-Toe. 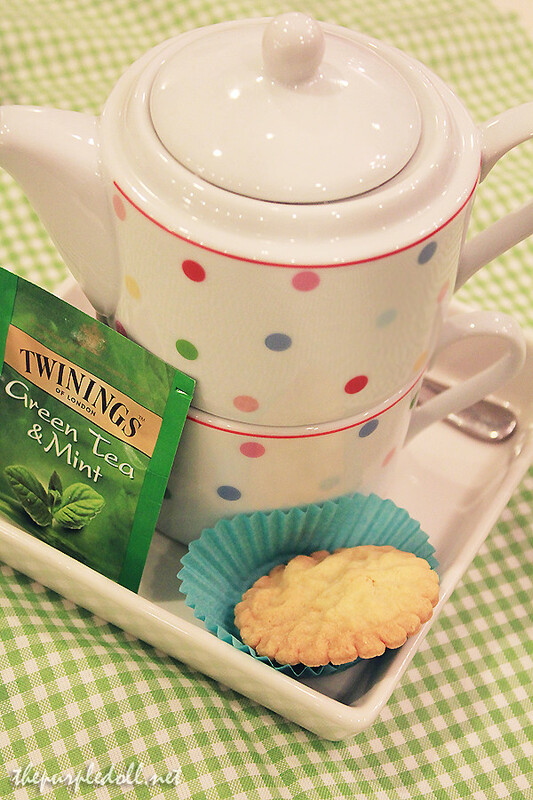 And of course, what would a tea party place be without treats? Stacy's can just fill that in with their hard-to-miss chiller of delightful pastries. 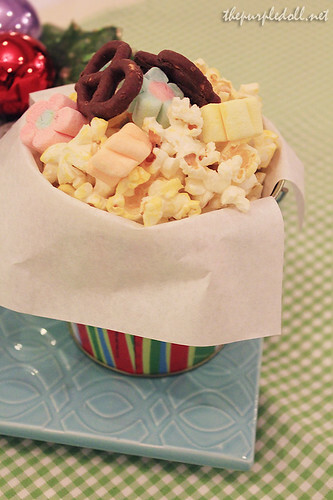 They also serve free buttered popcorn with pretzels and marshmallows. However as much as we've wanted to have a tea party and enjoy sweets all night, it was not what we went there for. So without much delay, we started trying out Stacy's food and drink offerings. We were first served beverages of our choice. 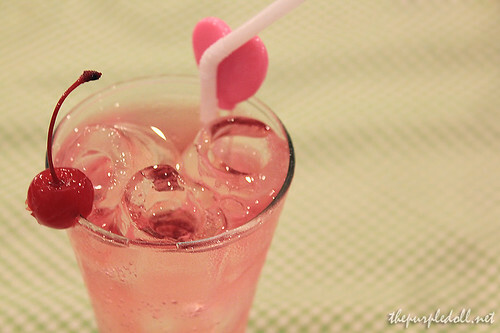 I personally picked a glass of Shirley Temple (P85) -- a pretty pink carbonated drink made up of either Sprite or 7-Up and spiced up with strawberry syrup. 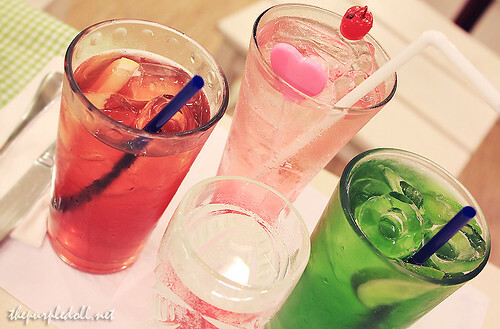 Other event attendees ordered for Iced Teas (P65) in Raspberry Blush and Green Apple flavors. 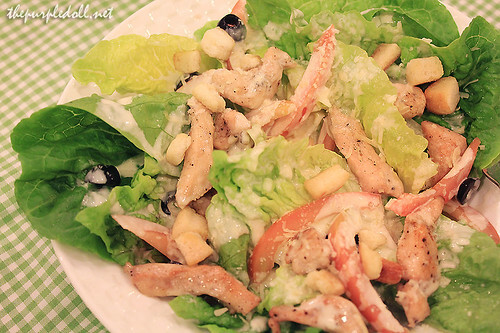 Our server then brought us 2 of their salads -- Grilled Shrimp with Sweet Pomelo & Mixed Greens in Asian Dressing (P155) and Classic Chicken Ceasar Salad (P155). Both salads were good. 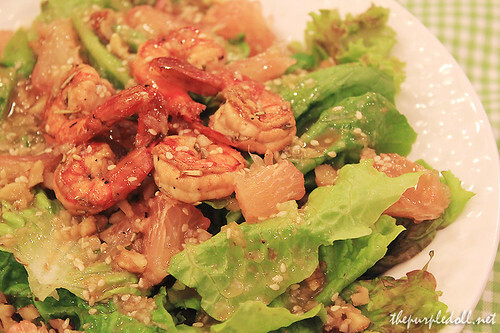 I preferred the first one though as the pomelo complimented the grilled shrimp and greens very well. I also love Asian dressing, so of course I was a little biased. After a light and simple start, we were treated to loads of carbs as our server brought us all their pasta dishes to try. Being special guests for that night though, we were given the chance to sample even their new food offering. 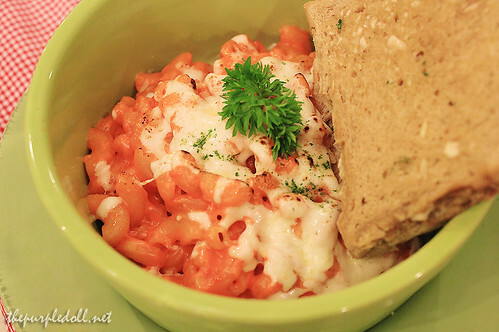 I was not able to sample every pasta dish as I was busy taking tons of photos almost the whole time. However, I was lucky to be with the company of friendly attendees who shared what they thought of the pasta dishes. So what you are about to read below is a compilation of how I, my date, and some of the attendees personally view the food. Ms. Angelique told us that their version of Mac and Cheese makes use of 3 different cheeses. Most of the attendees found this dish initially off because of its vibrant orange color, similar to pasta dishes loaded with banana ketchup. However after tasting it, everyone was satisfied. The dish has a slight saltiness and subtle cheese flavor that would not leave the eater with a case of taste fatigue. Although the Mac and Cheese was a hit, this Carbonara dish was just so-so. The sauce is creamy, done just the way I like it. However, the flavor was not as rich as I would've wanted it. A dash of salt and pepper can easily solve the problem though. Even though Spaghetti and Meatballs are always a staple in every children's party, we never really got tired of this pasta dish, especially if done Stacy's way. 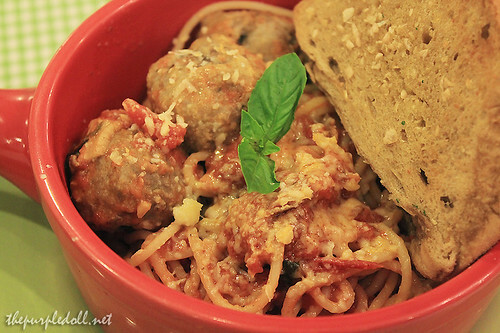 The spaghetti is not spicy nor too sweet, and the meatballs are oozing with juiciness and meatiness. I didn't catch the name of this last pasta dish, but it has an oil base coating strands of nicely cooked spaghetti and topped with sardines, olives and herbs. This pasta plate did not create a buzz in our table, but the sardines were not overpowering and the whole dish was not fishy. If you think our food adventure ended here, think again. After treating us to carb-full pasta dishes, we were also served Stacy's line of Lovin' Spoonfuls and a plate from their All-Day Breakfast, Hooray. Crunchy yet savory garlic longanisa with the perfect harmony of cane vinegar and choice of seasonings. 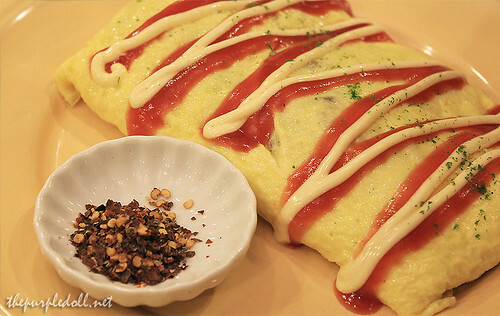 Served hot and hashed with fluffy onion and tomato omelette and toasted garlic rice. 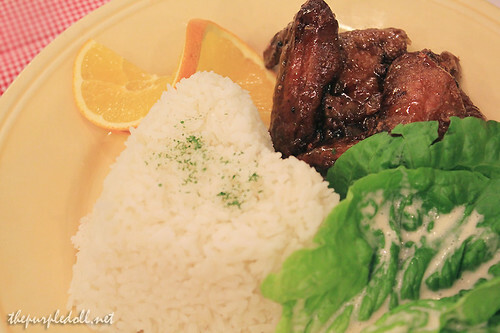 Scrumptious chicken and pork adobo, done two ways. Chunks of chicken and pork belly carefully simmered in their special honey vinegar concoction then air dried, flaked and refried. Indulgently topped with Laguna white cheese and served with roasted garlic rice, scrambled egg and mango-tomato salsa on the side. Tender yakiniku cut US beef sirloin tapa smothered with loads of fried garlic. 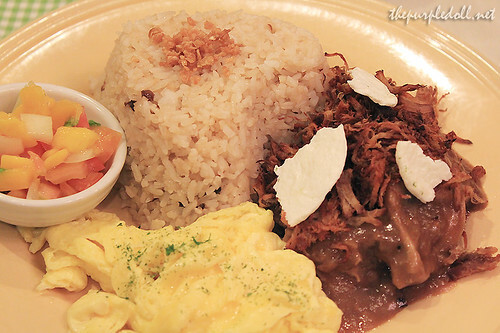 Served with anyway you like 'em eggs, caramelized tomatoes and roasted garlic rice. Probably a new offering since this is not yet on their menu on Stacy's official facebook page. Buffalo wings coated with sweet and slightly tangy glaze, fried perfectly while still locking in the chicken meat's moisture. Served with rice and some greens. Possibly another new offering. 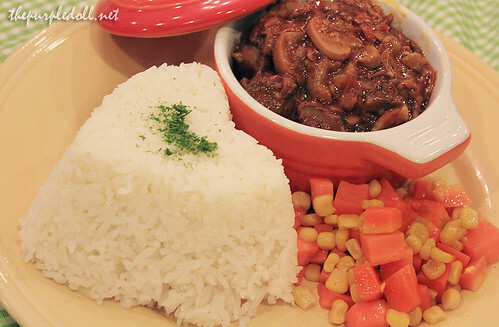 Braised beef with mushroom sauce. Served with rice and corn & carrots. Yet another probable new offering. Flavorful beef with mushrooms. Caramelized spam with pan-grilled in brown sugar and folded into buttery mushroom fried rice, wrapped in a yummy cheesy two-egg omelette. Served with creamy Japanese mayo, tomato blend ketchup and fiery hot sauce for that added kick. 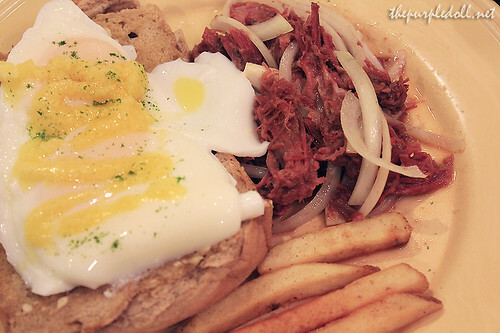 100% corned beef chunks and shreds lovingly kissed by malted beer and sauteed with white onion rings. Served with two poached eggs over freshly baked pandesal and golden steak fries. Tasting all these rice-loaded dishes left me full, so I wasn't able to savor every plate's flavors. However, I can guarantee that all these are quite good. Probably not the best in town, but for the price and lovely presentation, they're really okay. After tasting all these food, everyone of us who attended the event was left with bulging bellies. 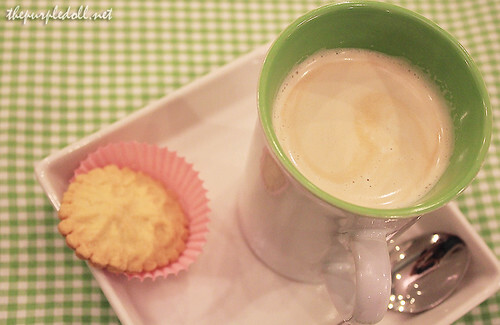 But it was nice of Ms. Angelique to offer us hot beverages -- a choice of either coffee or tea. I asked for a hot Latte (P90) while my date got a Cappuccino (P95). 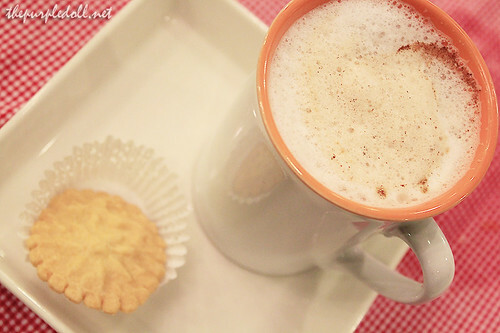 Both of our hot beverage choices came with a butter cookie. I also spotted some attendees who asked for Green Tea (P55) and I was just amazed by how lovely its presentation was. 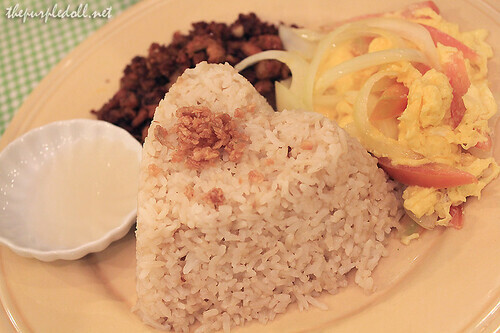 Overall, my first Eat's a Date with OpenRice at Stacy's was just lovely! Everyone was so nice and friendly, the food was generally good, and the ambiance was just amusing and calming. Again, thank you OpenRice. Till our next date! As for Stacy's, I will probably be bias because I fell in love with the place. 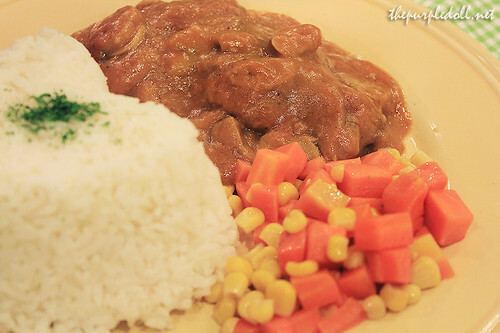 However behind the color and flair of the cozy and girly interior, the food was good but not extraordinary. Each spoonful of their offerings was satisfying in flavor, but more appealing and lovely in the eyes. But despite this setback, I see myself returning to this lovely place to enjoy the afternoon teatime atmosphere. 'Cause of course, a doll can only belong inside a doll house. Oh my! This made me hungry! By the way thanks for following my blog. Banapple dollhouse version for me.hehe. My baby sis will love this! I like the look of the resto so much! So girly!! I think that place is perfect for a birthday party for girls of any age. Hayyy.. I wanna go there! I wanna BE there. I love love love the decors, the color scheme, everything! if i have a daughter i will bring her here. parang sarap maglutu-lutuan. hehe! i've been reading a lot about this place too... This seems to be a great place to have prenups too! oh how i wish they allow that! Ack it's too girly for my taste! I would bring my teenage nieces there, though. They would surely love it. Para kang doll na nag-tea party..
@totomai: I actually would've taken a photo of their toilet if they have one.. :) Unfortunately, diners have to go out of the resto and use the building toilet (not complaining though since it's nice and clean). Awww, it looks SO cute! Though the free popcorn and sweets may be overload for me. XP The food looks delicious. I'm totally going to make a note of this place. 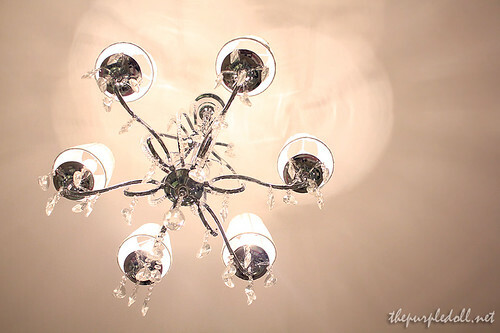 And I always love your photos, they really make me want to go to the restaurants you blog about asap. I'd love to bring my girls and their dolls and have a lovely tea party... nice place, nice pics! I love your food reviews! You ordered so much food ^_^ and the ambiance... it's so girly. I can't imagine boys and men dining here ^_^ that would be a fun sight! ps. thanks for joining the giveaway for the BU2 tickets..did you get to go bah? i hope so...if you dropped by our booth and i was kinda off, it's cuz i was really tired..while having fun.hihi. wow...very interesting post..love d cliks.. The pasta dishes immediately caught my fancy. 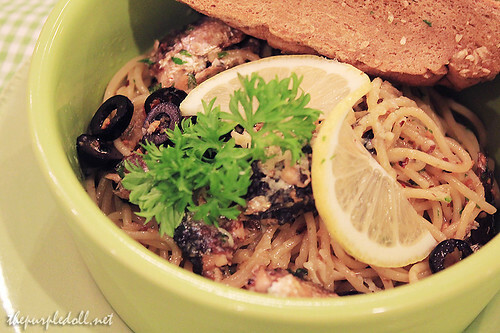 :) I think I'd love the sardine pasta too... am not sure if that's what you call Pasta Puttanesca as well. We tried cooking that before at home and we loved it. I love the interiors of the place too. Very, very girly but not over the top. Oh, wow! A dreamy place! Pero parang the serving is too little? XD I NEED to get to visit Stacy's soon. Aaaaaaaaaack! Super awesome pictures :) :) :) Inggit ako! Your blog looks really really good! OMG Sumi! You are so making me droool. :) Too bad we don't have Stacy's here in Cebu. SUCH A CUTE RESTAURANT <3<3<3 the bowls are ADORABLE and the food is just YUMYUM <3! Ang cool naman nung place!! 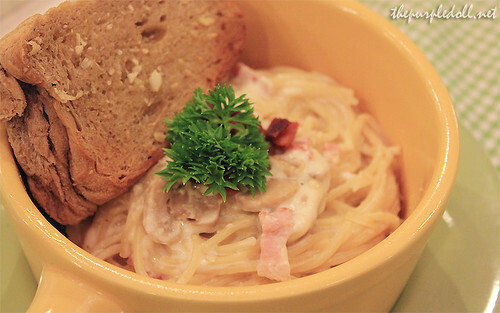 I wanna try the Bacon & Mushroom Carbonara!